In the bedroom, there’s more of Law’s beloved Tadao Ando-inspired walls. Wood furniture keep the ambience warm, and quirky Good Morning sheets add a local flair. Chiquit Brammall added this to Congratulations to the Best of Houzz 2017's Design Winners! 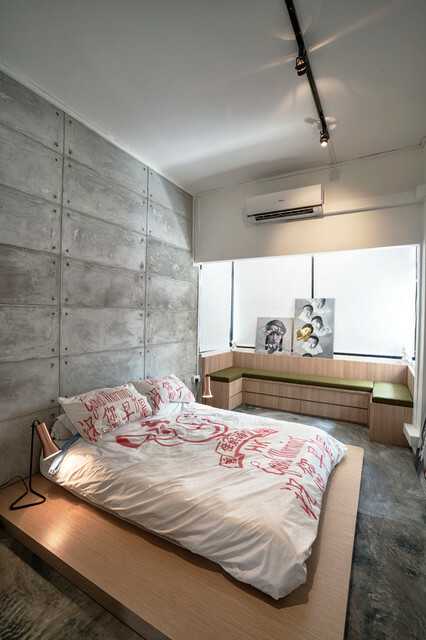 Best of Houzz 2017: Design, BedroomThis is the only way to be nominated, so don’t wait! The platform bed doesn’t usually have a headboard or footboard, but can sometimes come with either an extended ‘skirt’ that extends out from the mattress or can be a built-in with storage underneath. 13. Location: SingaporeDesigner: OblliqueFeatures: A platform that acts as a sleeping island.